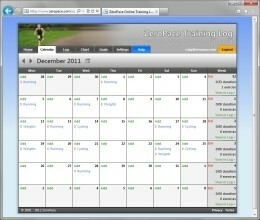 The Online Training Log allows you to quickly and easily enter your exercises from any computer with a browser that is connected to the internet. 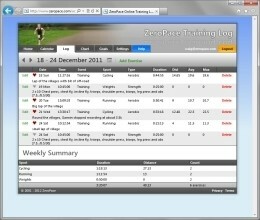 The Online Edition of our Training Log is ideal for coaches, athletes and fitness enthusiasts who like to view and update their exercises from home, office or the gym. 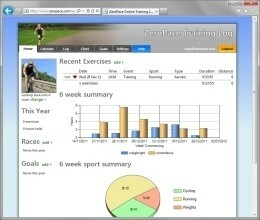 You can also share your exercises with friends and team mates. 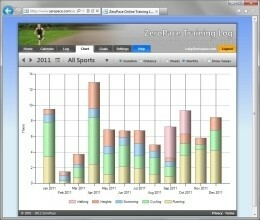 The Online Training Log is free to use, but you are limited to entering three exercises per week, one season goal per year, and cannot upload heart rate data or exercises from the Windows Edition. If you want to add more than three exercises per week, have multiple season goals, upload heart rate data and exercises from the Windows Edition then you must purchase a license key, or use the license key obtained when purchasing the Windows Edition.